You might be wondering why on earth I’ve photographed another MkII Volkswagen Jetta so close to the last one, but I assure you I have good cause. In fact, I think it’s the perfect accompanying piece to TJ’s VR6-powered car. Funnily, I actually shot this the day before TJ’s, but I’ve only got around to writing about it now. 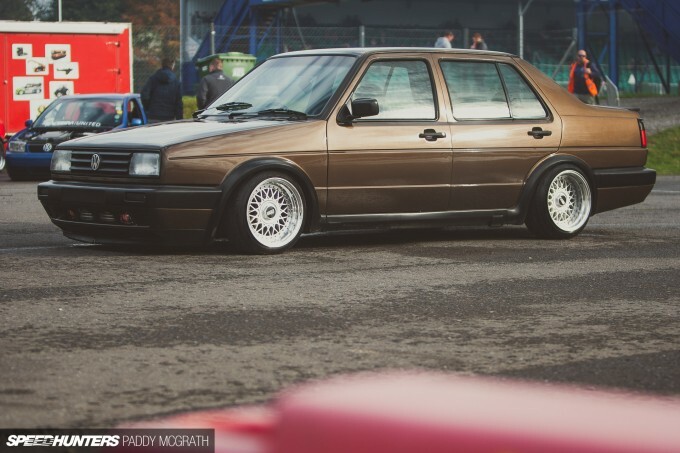 From the outside, it’s a similar affair: a static-low Volkswagen running BBS wheels. We’ve seen it all before, right? As always with these kind of things, there’s more than meets the eye. 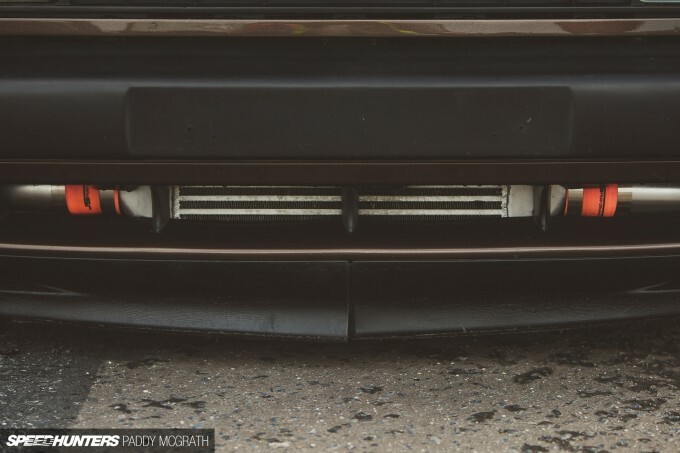 The front-mount intercooler was the first suggestion that something was different here, but probably not in the way you were expecting. 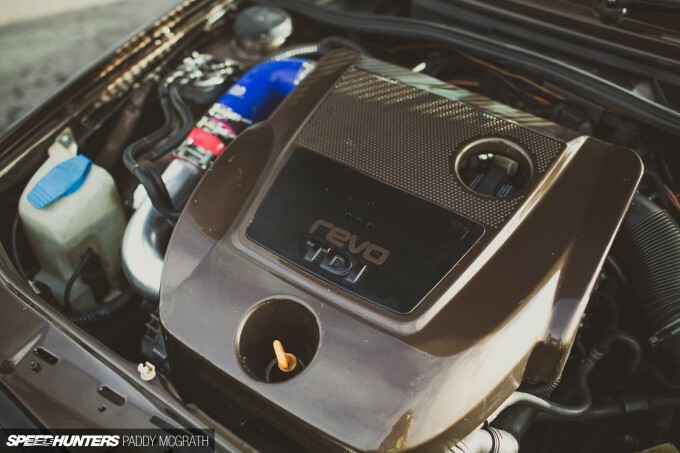 In resto-mod fashion, the Jetta has been updated with a PD130 TDI engine sourced from a Golf; the aim here to make a reliable swap for daily driving purposes. Light modifications see the 1.9-litre motor produce around 180hp and 300lb-ft. That’s a considerable amount of torque, which is handled by a MkIV GT TDI 6-speed gearbox. The interior has been completely revamped too. A Golf MkIV dashboard and centre console has been matched with Golf MkV seats front and rear. It’s a subtle upgrade that makes all the difference for commutes and long journeys alike. What we can’t see is the complete overhaul beneath the car. Brakes, subframes and the rear axle have all been replaced with MkIV GTI items; the brake discs are MkII GTI specific. A US-specification Jetta GLI spoiler adorns the boot lid. Originally 6.5-inch in width, the four RS wheels were re-barrelled for this project and now measure 15×8.5-inch up front and 15×9.5-inch at the rear. 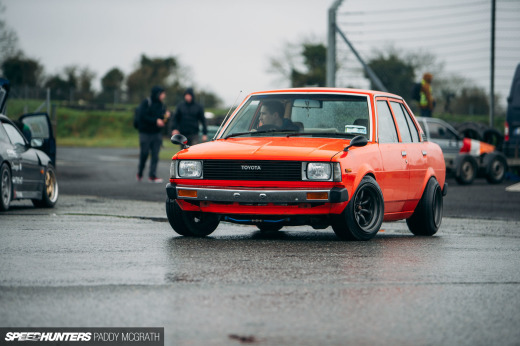 Just like the S14 Silvia and V8 Corolla I’ve shared recently, I’m aware this isn’t an internet-breaking build, but that doesn’t change the fact that all three are cool cars worthy of quick spotlights. Attainable street cars are core to what this whole car culture experience should be about. 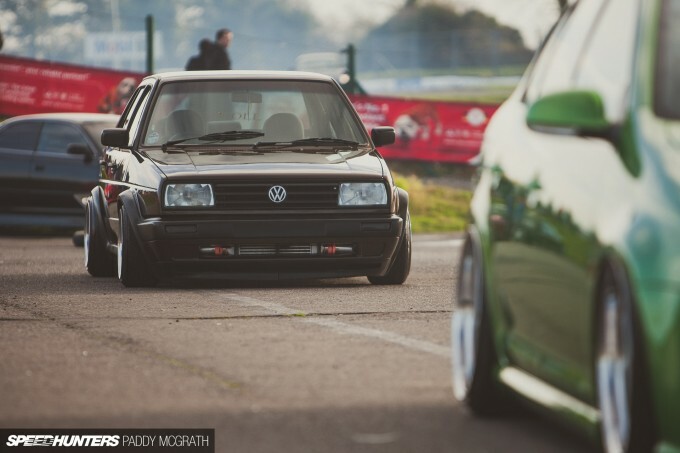 I love the mkii volkswagens. 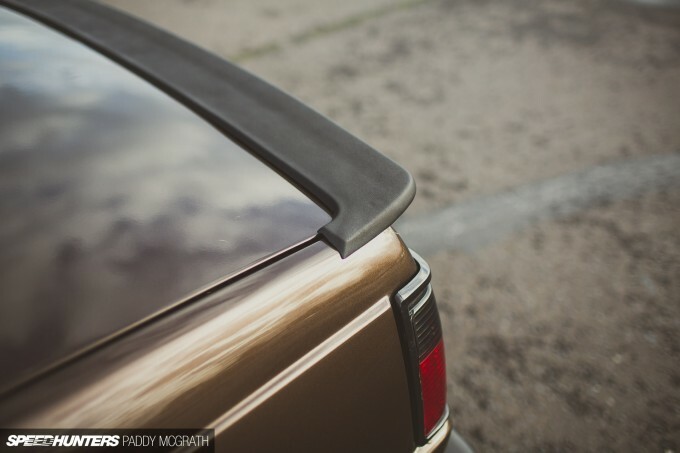 They personify simplicity in a way that other cars just don't. They're their own breed for sure. Hi did you do the conversion on the car? Love it. Usually not a fan of the stretched tires but this one gets a pass in my book. The TDI was the cherry on top for me! Amazing build, tip of the cap. Next time, try to buy wheels that fit under the car. 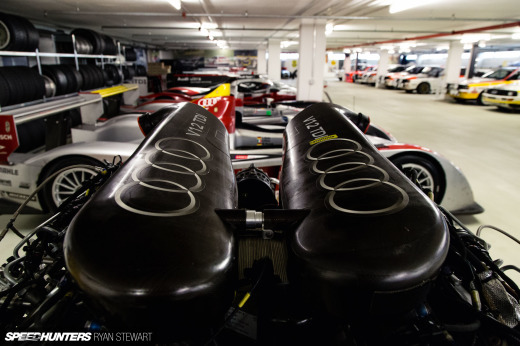 Great combination especially the modern TDI engine, wheels seem a bit off to me. Really like this build. Simple and clean, could be driven daily. 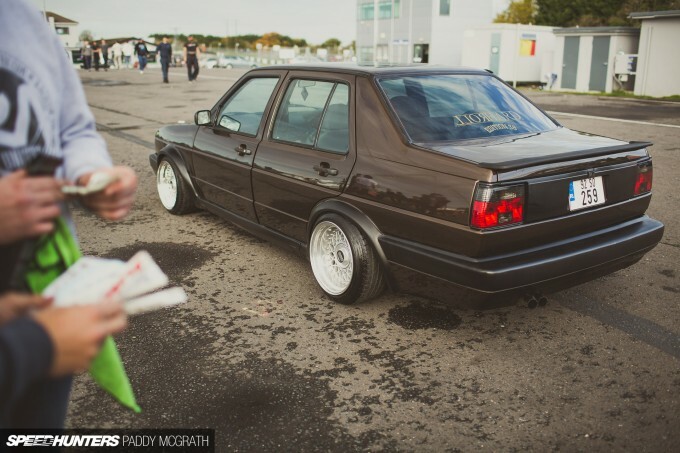 Im not a big VW guy butJettas appeal. What is it with you and these VW diesel !? It looks like all of a sudden someone tries desperately to save some of Volkwagens glory! a brown diesel?!!! now you've gone over your head man! keep them coming. Who cares if it's another Jetta in such a short time? I'm far from being a VW fanboy, but I sure am a car lover. So, what's wrong with getting to know a little bit in detail a perfectly executed build? 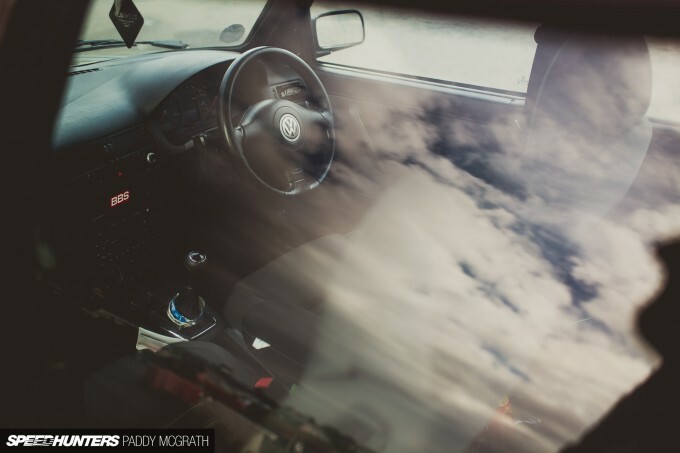 Great interior, flawless exterior and a proper swap. I'm all in for this kind of articles, please keep it up! I am absolutely loving all the upgrades gone into this car, well put together! Off course, it's not a dream car like an RWB POrsche, but, by the way, it's enough to turn heads!!!!! Ih, and little detail: those wheels are BBS RM. LOVE this build. TDI totally does it for me especially with the 6-speed. Can someone please explain the rationale behind having wider wheels on the back on a FWD car? "Brakes, subframes and the rear axle have all been replaced with MkIV GTI items"
Does this actually have a Mk4 sub frame and rear beam? Seems unlikely but interesting and potentially something to it given the Mk4 chassis leg engine mount I *think* I can just about make out in the 4th pic? I just binned the engine / box mounts on my Mk2 subframe so it still bolted up to the Mk2 legs and still took the Mk2 steering rack, when planning Mk4 style engine/box mounts. Just making sure I'm not missing something, it's not a dig, just curiosity Mk4 *rear* brakes make sense, standard upgrade, but 15's and Mk2/3 hubs rule out the front brakes being Mk4 don't they? First of all: aesthetics. Proportionally, wider wheels look better in the back. If you ran it the "logical" way with the wider wheels in the front for FWD, people would wonder why the car's wheels are on wrong. I'd bet that this is 85% of the rationale when people put wide wheels on the back of a FWD car, especially a daily driven street car where looks matter. The other 15%, is of course performance oriented. Even though they aren't the drive wheels, the rear wheels still need traction for cornering, stability, etc. Just like spoilers on FWD cars. Sure, it's not AS effective as it would be on a RWD car, but it's still important to have traction. Some people think that you can just ignore the rear end of a FWD car, but it's pretty important to maximize the rear wheels' grip to take the load off the front end and reduce understeer. Nah, it doesnt work at all. Please don't talk about performance when tires are stretched to a maximum. 9 and a half is way too big for this. You need reverse stagger on a fwd for performance. Wheels are sticking out way too much. And I bet suspension geometry is fucked. You should have stopped with the first paragraph. Plus I bet people have seen enough drag purpose civic to understand the fundamental of tyre size. I wasn't exactly talking about this car precisely. I agree with you that this specific car is aesthetic and not performance-oriented. Agreed that this car also doesn't have optimal suspension geometry and too much poke, but that's beside the point since the car is not a racecar. 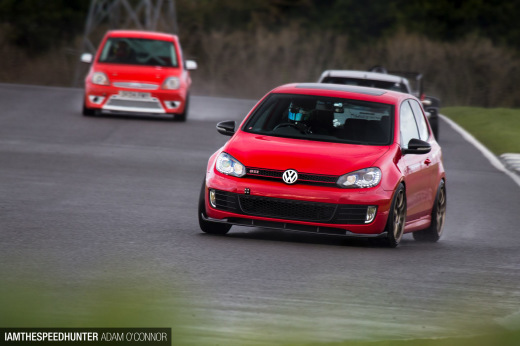 However, other FWD cars built for other purposes will have different build characteristics. Yes, a drag Civic will have skinny rears, since you don't need traction int he back and only need to reduce rolling resistance. Just like a RWD dragster has skinny fronts. 8-inches wide all around. Not reverse staggered at all. The car needs to corner and it needs traction at all 4 wheels to do so. So wide rubber is good. Obviously correct suspension geometry is necessary as well. I was just trying to answer the guy's question with some knowledge, not a generalization. Yes! More attainable cars please! I want to be inspired not depressed because i dont have $65939475637349494 to spend on a murdered out, rocket bunny lambo. 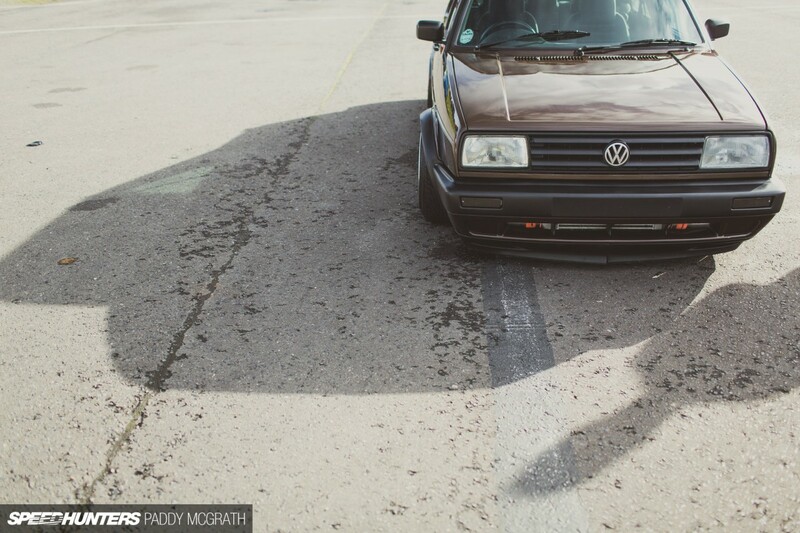 Very well executed, awesome VW! @Sleeves345 CharlesSangollo Seriously there is no excuse for wider rear wheels on FWD but aesthetics. Sure wide rubber is good but you need to get it balanced. Square setup is often good, but skinnier tires on driven wheels is just plain stupid.